Romantis, an international group of companies specializing in space segment trading and VSAT network solutions, has formed a new entity, Romantis Inc. The new comany will be headquartered in Montreal, Canada, with offices in the United States. Romantis Inc., in close cooperation with the other group members, will offer a wide range of products and services, which have proven to be successful in Europe and the Middle East. The company offers satellite capacity, ground infrastructure, and VSAT hardware, as well as providing its customers advanced solutions for IP centric telecommunications and video networks. Romantis Inc. works with leading telecom carriers, TV broadcasters, and enterprise customers across North America, Latin America, and South-East Asia. Romantis provides R&D, network engineering and production capabilities in America, extending the Romantis production facilities in Europe. Dr. Vagan Shakhgildian has been appointed the President and CEO of Romantis Inc. Dr. Shakhgildian has more than 20 years of experience as a senior executive and engineer with leading corporations such as Motorola, Adaptive Broadband, and Signal Processors. 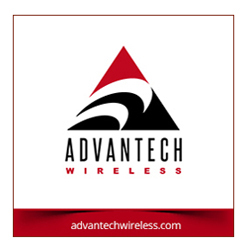 Most recently, he served as the President and Chief Operating Officer of Advantech Wireless Broadband, a global leader in manufacturing of satellite and wireless products. 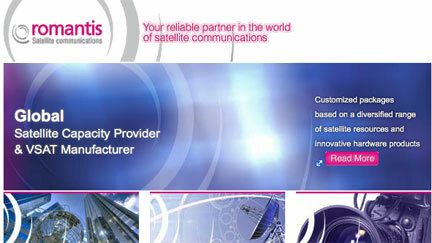 “I am excited about joining Romantis, known for its innovative spirit and customer focus. We have assembled a great team in Canada and the U.S. that will add value to our customers’ business by offering turnkey end-to-end solutions based on satellite bandwidth and on the ground-breaking Romantis UHP VSAT technology. The UHP platform is the optimum choice for Multimedia and Unified Communications over Satellite: from M2M, broadband access and voice networks to broadcast-quality IP HD and super-HD Satellite News Gathering, Video Conferencing and Telepresence. The Romantis VSAT product is uniquely compact and scalable, also offering tremendous savings in costs of equipment and space segment“,said Dr. Shakhgildian.